3rd Annual Halloween House Decorating Contest Winners! It is time to announce the winners! After seeing a number of fantastically festive houses during a weekend of crazy weather, we finally came to a decision. The winner of the 3rd Annual Halloween House Decorating Contest is ... The Graveyard Scene with Witchy Women! Two houses that received honorable mention are, the house with the skeleton on the door, and the white house with the black roof. Thank you to everyone who participated and stuck it out through the rough weather. We had a great time seeing all of the decorations. Start thinking of ideas for next year's contest! Education Student? 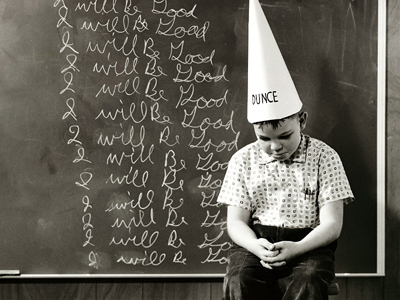 Don't Be a Dunce, Start Networking! Last night, as part of Education Career Night, close to 100 students and alumni took advantage and networked with nine organizations seeking volunteers and part-time and full-time employees. The key word here is “networked.” Many times applicants see career nights and job fairs with tunnel vision, a place to get a job. These events can be utilized as a form of networking. Keep in touch with you who met. They may not have something now for you but they may be able to refer you to people in their network. Eat lunch in the faculty room and get to know the staff. Volunteer to help others in the building with activities, fundraisers, concerts, etc. Where were you last weekend when Hofstra humans took on campus zombies?!?!?! This is the third semester that Hofstra vs. Zombies has hosted this active 4 day long event on campus. 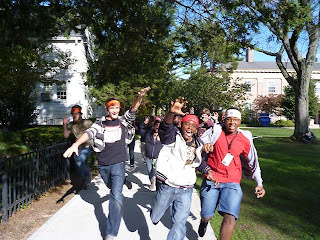 One hundred student participated in the event and one was named the Original Zombie. After two days of haunting the campus to gain zombie numbers the Zombie group was off to hunt for human players around campus. I saw them everywhere - late Friday afternoon at the commuter lockers, walking around North campus and even stopping to get lunch at California Pizza Kitchen. This is one of my favorite blossoming campus traditions and hopefully you will be able to get involved with the club and play next Spring's game (tentatively set for March 21-25, 2012). If you want to know more about getting involved or how to Join Hofstra vs. Zombies club you can also stop by the SGA / Lion's Den Haunted House this weekend (Saturday 6pm-11pm) in Roosevelt Hall where HVZ will be continuing to haunt the campus community!